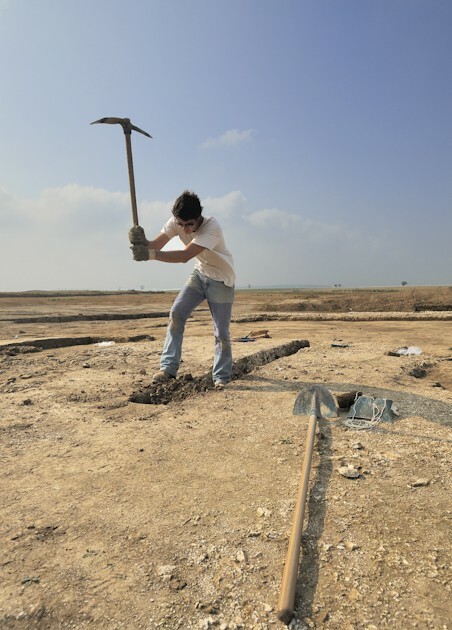 Launched in 2007, the programme “Archaeology in contemporary Europe: professional practice and public outreach” (ACE) ended on 21 September 2012 with a seminar at the École du Louvre. Leaded by Inrap, this programme was managed with support from the “Culture” programme (Culture 2007-2013) of the European Commission. It had a global budget of 4.8 M€, half of which paid by the European Commission. In terms of its ambition, number of partners (13 in 10 countries) and budget, the ACE has been the largest European programme ever devoted to archaeology. An increase in construction projects has led to the development of preventive archeology in Europe, resulting in clear changes in the field and in the profession of archaeology. At the same time, our knowledge of the past in Europe has changed significantly. The ACE network thus promotes contemporary archaeology in Europe through four objectives: to explore the impact of archaeology in the modern world, to compare archaeological practices, to contribute to the recognition of archaeological professions, and to increase public outreach. This research topic was explored in three international colloquia: “Contemporary faces of the past” in Poznan in 2009, “The very beginning of Europe: cultural and social dimensions of early-medieval migration and colonization” in Brussels in 2011, and “Integrating archaeology, science, wish, reality” in Frankfurt in 2012. How is archaeology practiced in Europe? The diversity of approaches was addressed in terms of the different fields of archaeology, legal, administrative and financial structures, data management, etc., during the sessions of the European Association of Archaeologists meeting in La Haye in 2010, and in workshops in York and Brussels in 2009. The status of archaeologists and their responsibilities were the subject of a vast survey at the European scale. Its results were presented at the 17th annual meeting of the EAA in the session entitled “The Archaeological Profession”. In parallel, a programme of grants for students and young archaeologists was put into place and a distance learning program on preventive archaeology in Europe was created. With the aim of presenting archaeology to the European public, the ACE network produced a mobile photographic exhibit entitled Working in Archaeology. It was presented at UNESCO and in all the partner countries. A children’s book entitled “The Archaeologist” was published in Flemish and French. ACE also participated in archaeological festivals and documentaries (in Brussels in November 2009 and in Bordeaux in October 2010). ACE organised 15 international conferences and colloquia, 10 technical and scientific seminars and an exhibit presented in 10 countries. It published 17 works, including L’Europe un continent redécouvert par l’archéologie (éditions Gallimard), L’Archéologie du Judaïsme en France et en Europe (La Découverte) and Profession archéologue/Working in archaeology (VIOE/Culture Lab Editions). It awarded 24 grants to young archaeologists and received more than 50,000 visitors at the “Ville Européenne des sciences” at the Grand Palais in 2008.